Exemptions: Disabled people, drivers of alternative fuel vehicles, vehicles with 9 or more seats and drivers of roadside recovery vehicles. Discounts: 90% for residents if applying for 5 consecutive days or more only. Inside the congestion zone Positive You are entitled to a large discount, 90%, of the charge which makes living in the zone very cost effective. The actual benefit would be the savings being 90% x 252days x £5 = £1,134 per year. I would say that people may expect to benefit for a period of 10 – 20 years thus equating to £10,000 to £20,000. I imagine that people will over estimate these savings and we may see prices go up by up to £30,000 assuming all other things remain equal. In the future the savings may be greater as Ken Livingstone considers doubling the charge to £10.Also, if this congestion charging works, the roads will be a lot clearer hence making it easier to get to places within the zone. 0 – 3 miles outside the congestion zone Negative I say 0 - 3 miles but it could be 5 miles or it could be 1 mile. It will be clearer once the charge settles in. However, one thing is clear – traffic will be worse around the perimeter of the zone. The perimeter will become an unofficial ring road for drivers wishing to get from one side of London to the other without paying the charge. 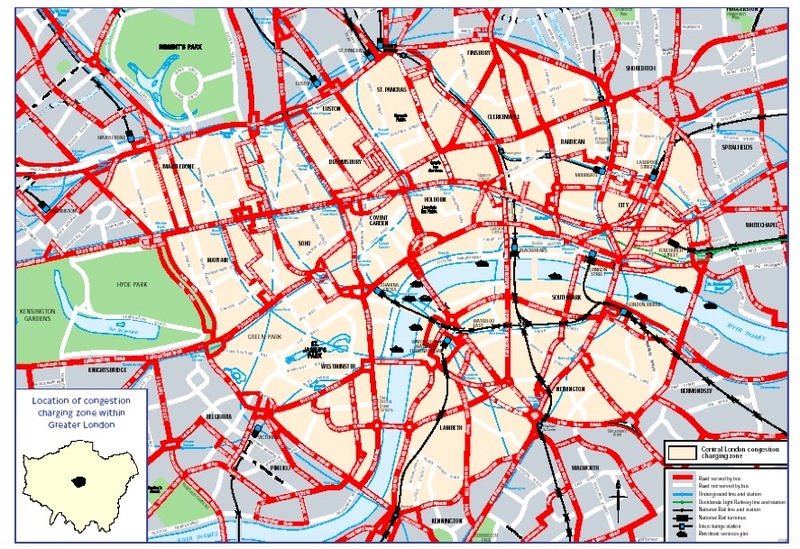 This is bound to make these areas undesirable.Also, it is likely that if you live in the perimeter there is something within the congestion zone that you need to visit – doctors, friends, shops or even a parking space! I wonder how many people are going to pay £5 each time for all these eventualities. Greater than 3 miles outside the congestion zone No effect There will be a safe distance from the congestion zone so that it will not even matter. It may vary in distance depending on where in greater London the location is. But the principle is this – it has to be an area thus is sufficiently self-contained so that there is no reason to go in to the centre during the day. I will be looking at properties just outside the zone to see if there are any bargains to be had. As the scheme is new and people generally tend to panic, there may be some vendors over estimating the effect of congestion charging and offering a generous discount on their property. There is also the point that Ken may expand the congestion zone to include the areas that are just out of the zone.